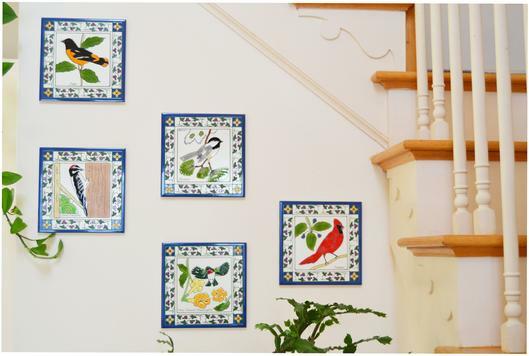 Design your own kitchen backslash tile installation, bathroom or shower tile installation using our hand painted art tile. 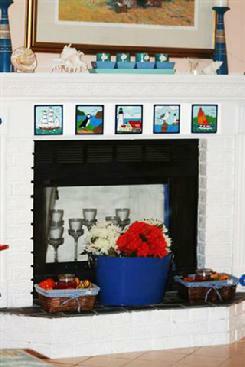 Also used as decorative ceramic wall plaques. 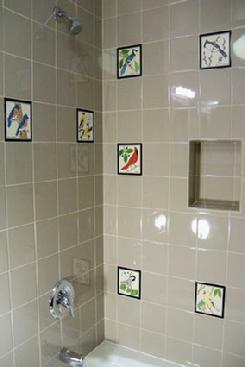 SHOWER TILE INSTALLATION USING EGYPTIAN TILE DESIGNS AND VARIOUS SIZES OF BACKGROUND TILES.